U.S. lawmakers grilled Facebook, Alphabet’s YouTube and Twitter about how they filter an ocean of content. Both questions and answers made any plausible bias-free approach seem remote. Yet the companies’ rising stocks suggest confidence that no serious regulation will follow. 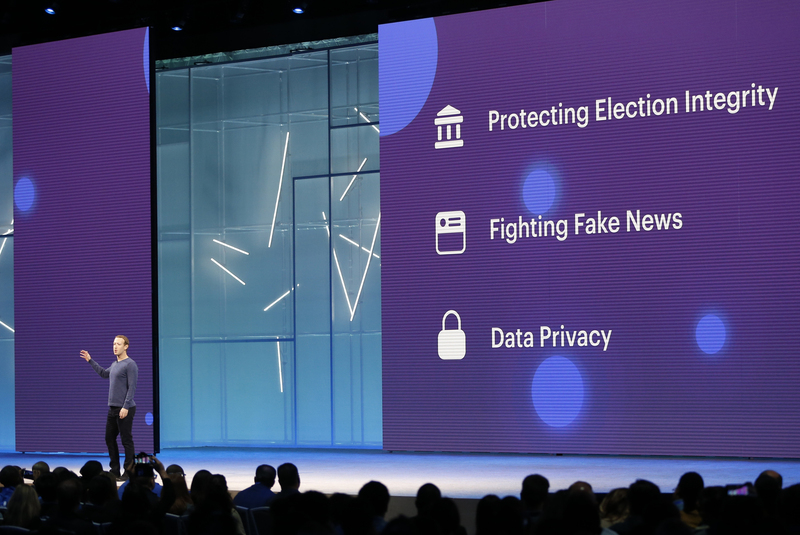 Facebook CEO Mark Zuckerberg speaks about protecting election integrity, fighting "fake news" and data privacy at Facebook Inc's annual F8 developers conference in San Jose, California, U.S. May 1, 2018. Executives from Facebook, Alphabet’s Google and Twitter testified before a U.S. House of Representatives Judiciary Committee on July 17 about how they filter content. Shares of Facebook, Alphabet and Twitter were all up in afternoon trade.